On Thursday, Nate Silver’s FiveThirtyEight unveiled its forecasting page for the 2018 House elections. As of writing, the site estimates that the Democrats have a 3-in-4 chance of retaking the House in November — decent odds, but hardly a sure thing. (FiveThirtyEight’s more-conservative-than-its-competitors forecast gave Hillary Clinton a 7-in-10 chance of winning the presidential election in 2016.) Race by race, the site walks through what might be expected this fall. It joins two other established rating systems that look at individual House races and evaluate what will likely happen in the midterms. Cook Political Report and Sabato’s Crystal Ball each rate House seats on a scale from safe to toss-up, with safe Democratic seats being ones that Democrats will almost certainly hold and toss-up Republican ones being seats that the GOP needs to worry about. Each regularly updates its forecasts, as primaries finalize the contenders for the seats and as outside news events reshape national and regional politics. We were curious how the three rating systems compared, so we coded each one’s ratings and matched them up against one another. [post_ads]The ratings systems themselves aren’t entirely the same. FiveThirtyEight’s system doesn’t assign a toss-up to one party or the other, for example, so we coded those toss-ups according to the party that currently holds the seat. FiveThirtyEight also had more likely seats; that is, seats that weren’t safe but weren’t toss-ups. Between likely and toss-up is lean, yielding an eight-bucket distribution, from safe Democratic to Democratic toss-up to Republican toss-up to safe Republican. Here’s how each system’s current ratings stand. New Jersey’s 2nd, incidentally, is currently held by Rep. Frank A. LoBiondo (R-N.J.). He announced last November that he would not seek reelection. Of the six seats expected to flip, only one — Virginia’s 10th — has an incumbent who’s sticking around to defend the seat. 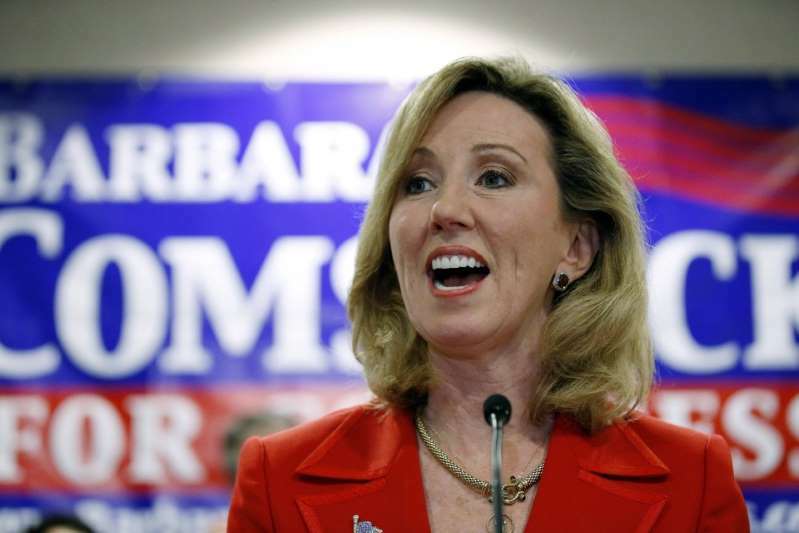 That’s Rep. Barbara Comstock (R-Va.), who won her party’s primary in June. Notice how many of those that at least one site expects to flip are listed because FiveThirtyEight expects they might do so. That includes California’s 21st District, which both Cook and Sabato see as likely Republican. Thanks to redistricting, the ratings for Pennsylvania are a bit funky. Seats held by one party are expected to flip to the other, but that’s usually because the district has been redrawn to advantage the other party. One thing that should immediately jump out is how heavily red this illustration is. There are some Democratic seats at risk — but not many. Hence FiveThirtyEight’s expectation (joined by Sabato’s Crystal Ball) that the Democrats have a significant advantage in November. Things change. But so far, they’ve fairly consistently changed to the Democrats’ benefit.